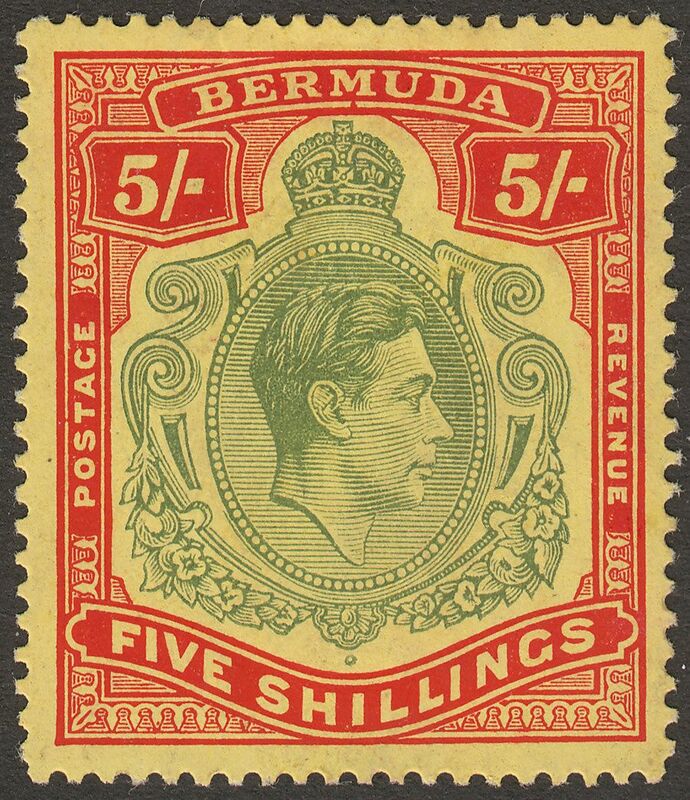 King George VI 5sh dull yellow-green and red on yellow chalky paper line perforation 14¼ mint. The third printing. Perforations initially look comb due to where the line perf has aligned. But is perf 14¼ and the line perf shade. With toned reverse bottom perf and slight wrinkle at top. 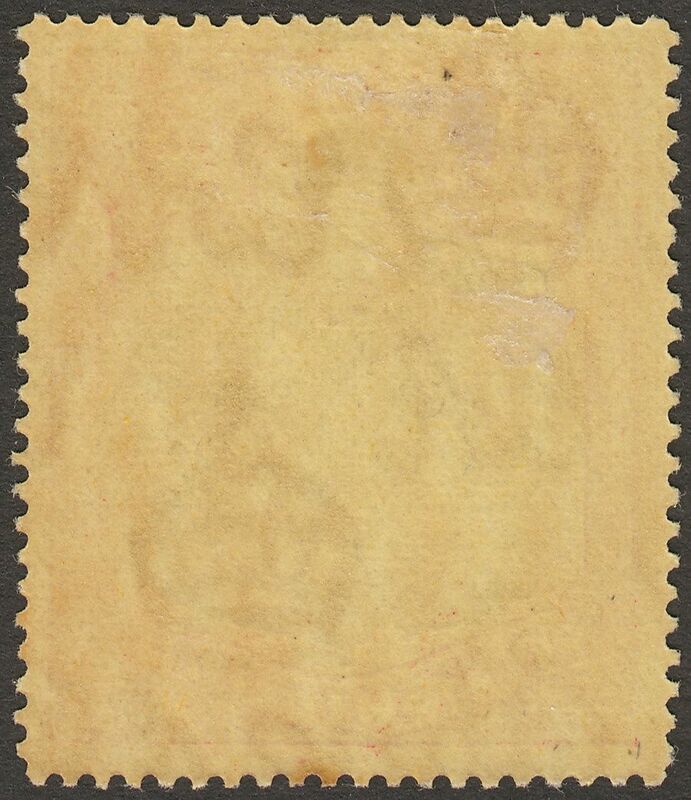 Mounted mint with hinge remnants.